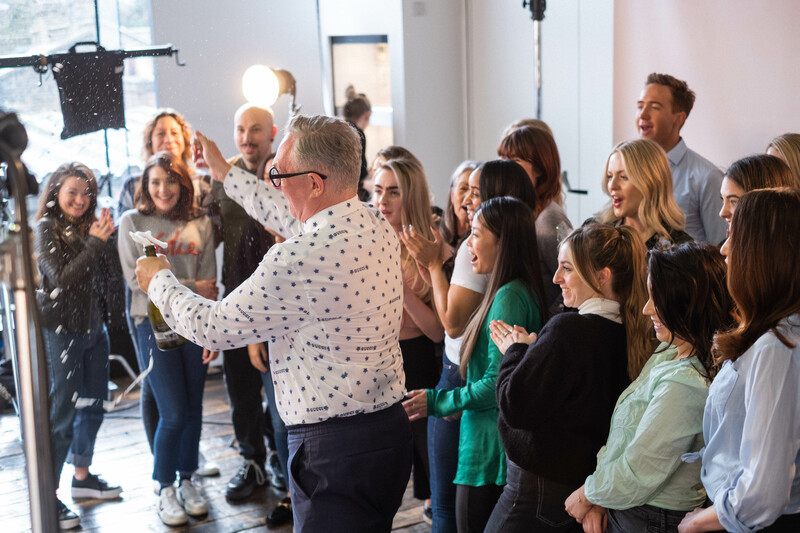 Thank you so much to everyone who responded to our Shade Shot Gloss casting call; after the Pixiwoo sisters announced we were looking for twelve campaign stars, we were overwhelmed with applications, and loved reading each and every one. While we wish we could have featured everyone that applied, we were faced with the tricky task of choosing just twelve. Introducing the new stars of Josh Wood Colour, and the incredible women that helped us bring our brand new product launching in summer - Shade Shot Gloss - to life: Sabine, Martha, Jo, Angela, Eve, Moya, Grace, Sarah, Rhianna, Fay, Maria & Rebecca. 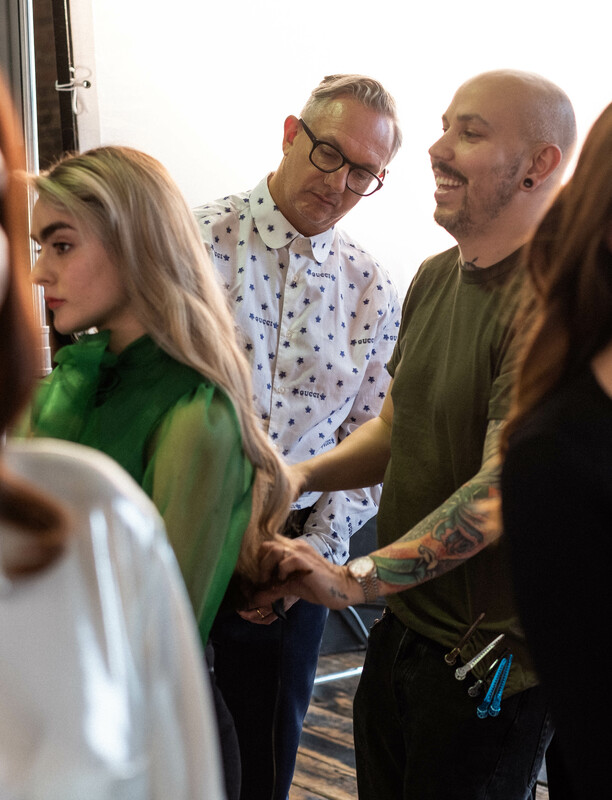 Read on for a few of their hair stories, and for exclusive behind the scenes images of our Shade Shot Gloss shoot. All photos by Clement Leon Mogensen. L-R; Champagne Blonde Shade Shot Gloss, Icy Blonde Shade Shot Gloss, Chestnut Brunette Shade Shot Gloss. Josh checks over campaign star Sabine's colour, while head stylist Pete Burkill makes the finishing styling touches. 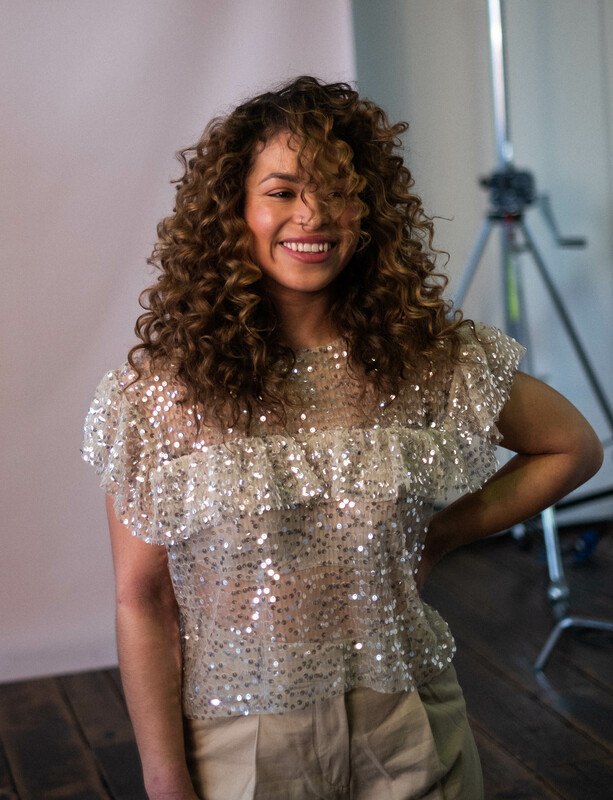 Read some of our campaign stars' hair stories below. Campaign star Moya wears Champagne Blonde Shade Shot Gloss. 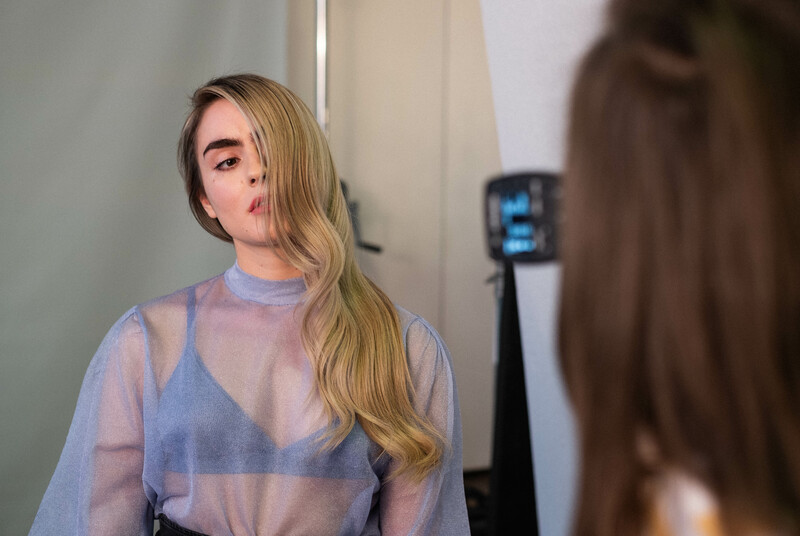 "I always thought I wanted to keep my highlights icy - the idea of 'warming up' my blonde didn't appeal to me until I tried the Champagne Blonde Shade Shot Gloss - it's made them this gorgeous, natural caramel colour". Campaign star Rebecca wears Smoky Brunette Shade Shot Gloss. "I'm so glad I had my hair cut at Josh Wood Colour , it's beautiful- I hadn't had it cut in years due to working as a ballerina, but this new cut and glossy colour has inspired me to do more with my hair in future". Campaign star Sabine wears Icy Blonde Shade Shot Gloss. "Years ago my best friend tried to bleach my hair - but it turned a horrible mustard colour. I'm so glad to be back to soft, natural blonde, which I can easily keep cool and well conditioned with the Icy Blonde Shade Shot Gloss". Campaign star Angela wears Champagne Blonde Shade Shot Gloss. "I thought I was a brunette, so the team using the Champagne Blonde Shade Shot Gloss on me surprised me. Now I realise you choose your gloss coloured based on the lighter parts of your hair - so, my balayage, and where the sun had naturally lightened it - and it totally makes sense". Campaign star Martha wears Icy Blonde Shade Shot Gloss. "When I was younger I had long hair - but then it got caught in a portable fan and I had to chop it all off! Now I'm older I love a shorter look, and think this icy blonde really suits it. It's not my natural colour, but it feels natural on me". Campaign star Rhianna wears Chestnut Brunette Shade Shot Gloss. "Christmas Eve just gone I had all my hair chopped off, and cried on Christmas Day. I've been slowly accepting it over the months - but after this stunning cut and gloss, I really do love it". Shade Shot Gloss is launching in Summer online, in select Boots stores, and on Boots.com. Want to be the first to get your hands on it? Pop an email to gloss@joshwoodcolour.com to join the waiting list.